Teak and Wenge case using vacuum bagged epoxy-bonded composite panels made from Lloyds of London Certified Marine ply and nydacore. Totally weatherproof. Crunch has survived 6 years of outdoor abuse. Currently vacant Crunch will once again come alive. 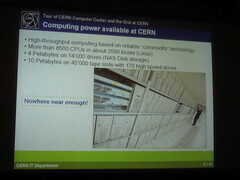 Designed to house 4 mATX motherboards for Distributed Computing. At one time Crunch was a top producing Folding Rig on OverClock.net back when Folding was CPU only. Now that GPUs are king Crunch would need to house 4 ITX motherboards and some massive graphics cards…which I cannot afford. Hence sitting empty on the porch at this time. Crunch is still one of my maddest projects. Who else do you know that could fit 4 motherboards in a 15″ x 15″ cube? Another genuine CyberDruid creation. KnockTV, LLC today announced the co-production of a new groundbreaking Christian reality television series following five women who tell their stories about having abortions in their past, and take a healing journey together. It was announced jointly by KnockTVs President and CEO, Geoffrey Rogers, and Emmy Award-winning Producer and Owner of Tentmakers Entertainment, Cecil Stokes, whose latest project was the feature film October Baby. The 10-episode series, titled SURRENDER THE SECRET, lives up to its name, as these five women surrender their deepest, darkest secrets, and admit to aborting a past pregnancy. Each episode is unique because of the different exercises they complete in a bible study written specifically for women who have had an abortion. The women form a tight bond and embrace each other as they go on this journey together. They share their abortion stories, work through anger, receive forgiveness, and allow Gods love to set them free from the bondages of their past decisions. It is not too often that a new television series is created which breaks new ground, and has the ability to move the landscape of culture. SURRENDER THE SECRET is recognized as potentially having this level of impact. The power of this first-of-a-kind Christian reality TV series will be deeply felt by viewers of all kinds. Regardless of whether or not the viewer has had an abortion in their past, the emotional connection to be made with the five women on this journey will be undeniable. Production is now completed, with the episodes being finalized over the next several months. The series will premiere on KnockTV on January 22, 2013, the 40th anniversary of Roe vs. Wade, the landmark decision by the U.S. Supreme Court which legalized abortion in 1973. KnockTV is an emerging leader in a new category of Christian television. 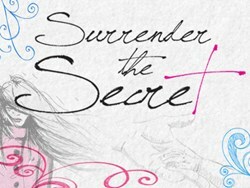 This new Internet television network will make SURRENDER THE SECRET available on computers, mobile and handheld devices, on-demand (24 hours a day – 7 days a week) once an episode is released on the networks website (http://www.KnockTV.com/SurrenderTheSecret). Given the sensitivity of the shows content, this type of availability will be tremendous for those who may want to watch in private and on their own time. Advanced screenings and reviews are available to the media and organizations wishing to engage in the shows grassroots efforts by contacting KnockTVs Geoffrey Rogers through the contact information below. Stokes said: Following the success of the feature film October Baby, my eyes were opened to the multitude of women around the country who had buried the secret of abortion deep inside. Audiences flocked to us wanting to share their stories, many for the first time. These women needed a voice and SURRENDER THE SECRET gives them that voice. Rogers said: With 43% of women of childbearing age in the U.S. having had an abortion, SURRENDER THE SECRET will be a show of great interest. For the first time, women who have had an abortion and thought it was the right choice at that time, express the long-term effects of their decision and how it hurt them. Stokes continued: I am proud of every project I have ever worked on, but none of them have the power of SURRENDER THE SECRET. This is a show about truth, deception, identity and forgiveness. As the anniversary of Roe V Wade approaches, we are turning our focus to the women who made a decision that left them forever changed, and are now seeking healing from the one true source of life. It is with no hesitation that I call this series GROUNDBREAKING. Rogers continued: Division over the abortion debate in the U.S. continues, but rarely is the voice heard from the tens of millions of women who have had an abortion. The shame surrounding abortion causes so many women to protect their identity and deny their actions, leaving the painful effects of abortion hidden from most of society. SURRENDER THE SECRET speaks from experience, while exposing the untold truths about having an abortion, and reveals the consequences of how it affects those who have them. While the women in this series may be the first to share their secrets in this way, there are untold millions of women throughout this country and the world who will relate to them, and are in need of the hope that that this show will offer. Ships of Tarshish is a non-profit production company created to produce a new breed of Christian Television in America. Its mission is to identify and produce an entirely new, compelling, interesting, educational and exciting type of television, specifically for Christians. More information about the Ships of Tarshish can be found at http://www.Ships-of-Tarshish.org.